Four men face capital murder charges in connection with the killing of a man whose body was found entangled in brush off an Angeles National Forest road in California. Hercules Balaskas, 18, of Glendora; Jacob Hunter Elmendorf, 19, of La Verne; and Francisco Amigon, 19, also of La Verne were arrested in the death of Julian Hamori-Andrade, 20, of Glendora. 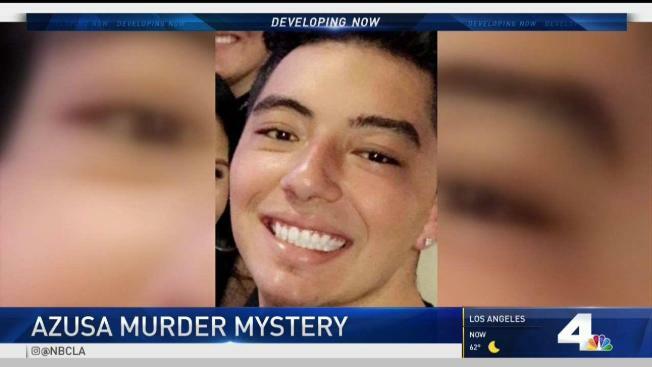 Deputies were searching for Matthew Capiendo Luzon, 21, of unincorporated Azusa, said Lt. Derrick Alfred of the Los Angeles County Sheriff’s Department. They were charged with first-degree murder with special circumstances, first-degree residential robbery and kidnapping, prosecutors said. The charges include special circumstance allegations of lying in wait and murder during the commission of a kidnapping and robbery. Balaskas allegedly beat the victim with a metal chair, prosecutors said. Luzon used a rock and a broken glass pipe, officials said. Prosecutors haven't decided whether to seek the death penalty. Hamori-Andrade was beaten unconscious at Luzon's home on Monday before he was driven to Azusa Canyon where he was beaten again, thrown over the side of a road and left for dead, officials said. Deputies found Hamori-Andrade's body Wednesday night in heavy brush about 30 feet down a hill off San Gabriel Canyon Road (Highway 39) near mile marker 20 in Azusa Canyon. Drivers who saw the pickup truck on a roadside turnout the night Hamori-Andrade was dumped led investigators to the location, officials said. Homicide detectives had been combing the mountain area for Hamori-Andrade since Monday after they got a call about a fight at Luzon's house. Deputies said three of the suspects were acquaintances of Hamori-Andrade. It wasn't clear what led up to the killing. Family members were horrified and angry. Evelyn Fuentes, the victim's aunt, urged Luzon to turn himself in as the family put up a gofundme page to help pay for Hamori-Andrade's funeral. "We don't wish this upon anyone," she said. "He threw my nephew like he was a piece of garbage." Information on attorneys representing the three men who were arrested was not immediately available. NBC4's Alex Vasquez and Elizabeth Chavolla contributed to this report.